Thermal imaging has been in use for several years now to identify and remedy problems in electrical systems and automated industrial facilities. Infrared cameras can detect potentially problematic components from their heat patterns, making it possible to prevent electrical hazards in time. However, accurate imaging happens only when the electrical components are in the camera’s direct line of sight, with no obstructions, away from other dielectric interferences, and emissivity in the environment has been standardised. Not all electrical systems, switchgear installations and cabinet designs offer an interrupted view of internal components. 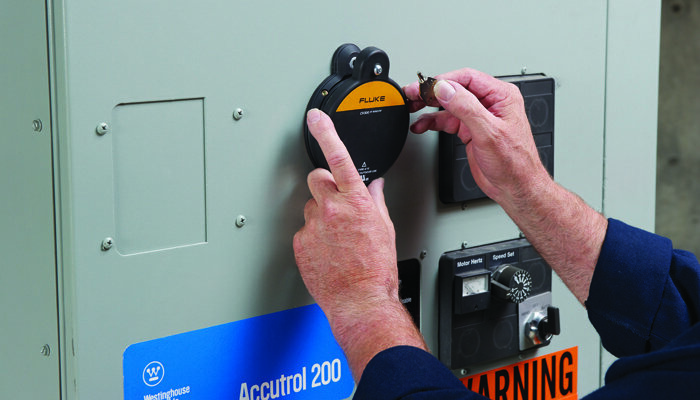 Electrical infrastructure is usually secured with doors and bolts, requiring the units to be opened for inspection and maintenance, exposing technicians and thermographers to a range of electrical hazards, more importantly electric arc flashes, especially when IR inspections are typically conducted on live systems to study load distribution in real time. The force of an arc flash explosion depends on the volumetric size of the electrical unit (switchgear, cabinet etc. ), and the amount of metallic substances in the unit. Copper, for example, is a metal that finds extensive use in electrical components in the form of cables. Though an excellent conductor of electricity, copper expands 67,000 times and turns into plasma state almost instantly at 38,000°F. Thus, arc flash incidents involving compact electrical units packed with copper-rich components are likely to result in high-intensity blasts, when compared to larger units or those with lesser copper cables. Infrared windows are fitted on electrical switch gear or cabinets to enable safe thermal imaging of the internal components. In the event of arc flash, Infrared windows, control panels and cabinetry all equally bear the brunt of the blast. The common yet dangerous misconception that Infrared windows can offer protection against arc-flashes is still prevalent among maintenance technicians and engineers. It is important to note that installing Infrared windows on non-arc rated electrical systems will not make any difference in arc rating or enhance the safety levels of switch gears or cabinets that house electrical components. That said, let’s take a closer look at why it is really not practical to arc-rate Infrared windows. The main role of Infrared windows is to facilitate safe thermal imaging and help prevent or minimise electrical hazards, and not offer protection against such threats. They are not designed for protection and, hence, do not in the strict sense require an arc-rating. However, there are specific regulations (UL 746C) that apply to polymers used in the Infrared window. Synthetic polymers/plastics used in the window housing/frame/lens are required to clear the flammability test at room temperature, impact test at 32°F. This helps ensure the Infrared windows in no way affect the protective capabilities of the electrical units on which they are fitted. Viewing panes fitted on medium/high voltage equipment must conform to load and impact settings outlined in IEEEC 37.20.2. Both sides of the pane should be able to bear the load and impact, and remain intact and in-place. Given the innumerable electrical components, materials used, connections and their locations within an electrical system, it is not practically possible to rate arc-resistance at the component level. Arc-ratings are assigned to the entire system (model/configuration), under specific test conditions. Infrared windows form an integral part of an electrical system. Considering the near-infinite number of such systems, each with different design and functional specifications, arriving at a standard for arc-rating Infrared windows based on their use is a challenge. It is impossible to determine if all test conditions have been cleared. How IR windows can help address arc flash hazards? Both the above mentioned manual actions are high-risk arc flash triggers. According to NFPA, 70B IR inspections are best done during peak load hours, but not less than 40 percent load. With suitable Infrared windows fitted on electrical systems, it is possible to thoroughly and safely assess equipment health and risks of electrical hazards and address any discrepancies, ensuring compliance with both NFPA 70E and OSHA requirements. As noted earlier, Infrared windows on non-arc rated electrical systems are useless, but when installed on arc-rated systems they do make a difference, especially if the system has been designed to redirect or channel the impact of arc flashes. Depending on the risk category of the job, the use of arc-rated PPE is recommended. Closed panel inspections reduce risks of electrical hazards, but may not offer enough protection if electrical systems have not been engineered to divert impact. All claims of arc-resistant Infrared windows, therefore, are meaningless. No two arc blasts are identical, and the impact experienced by the multitude of electrical systems cannot possibly be fully tested to arrive at a generic arc rating for Infrared windows, which can effectively help reduce if not eliminate risks of electrical hazards.